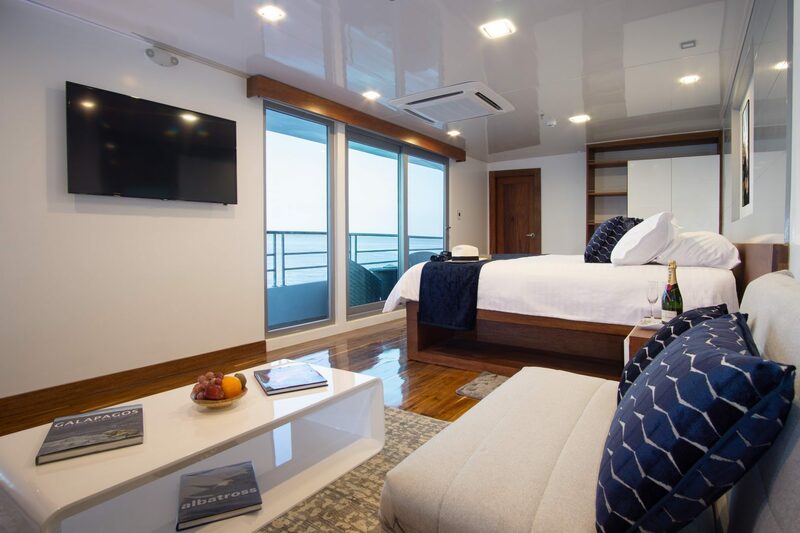 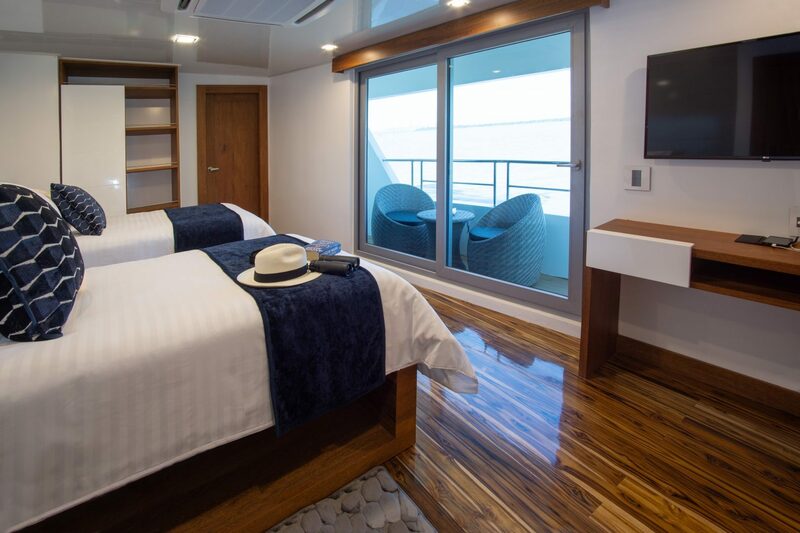 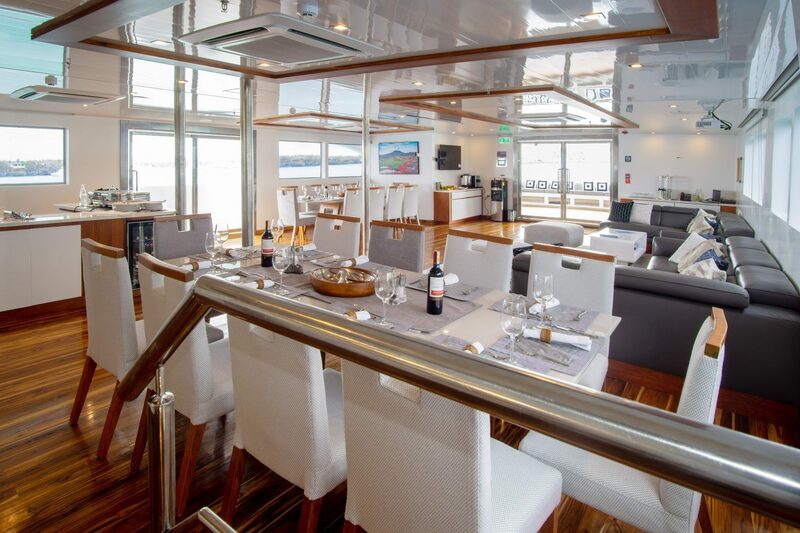 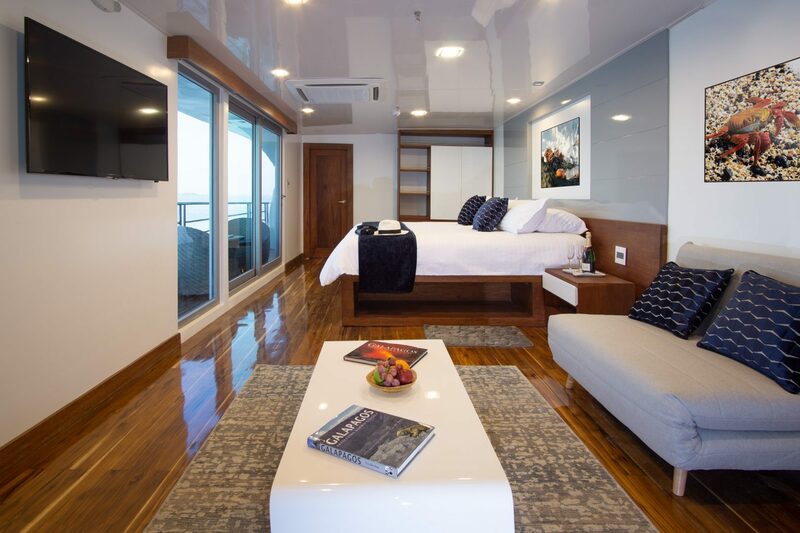 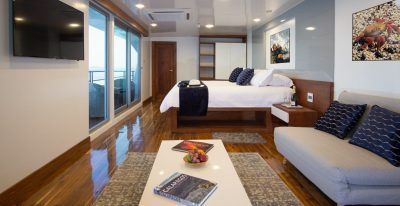 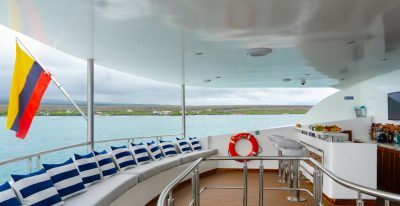 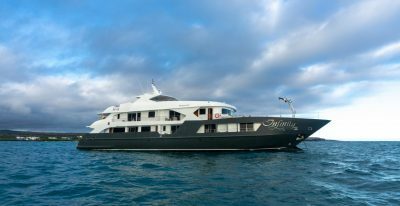 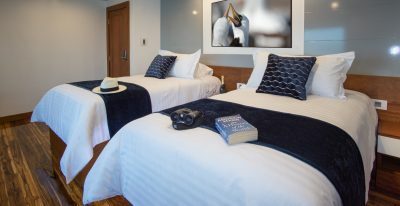 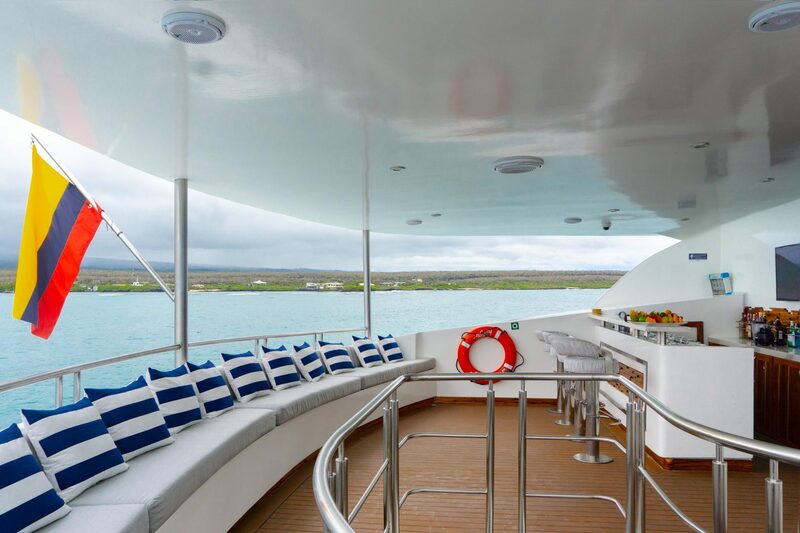 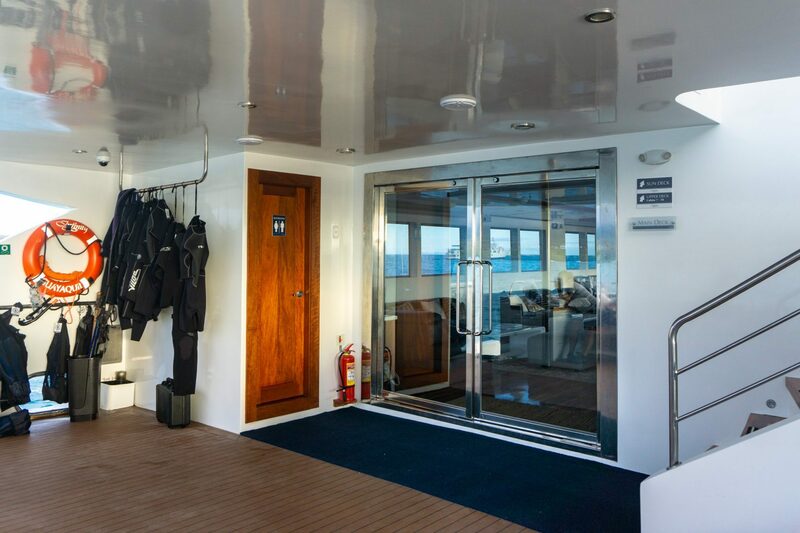 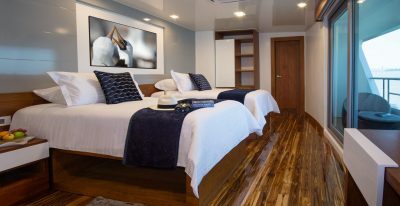 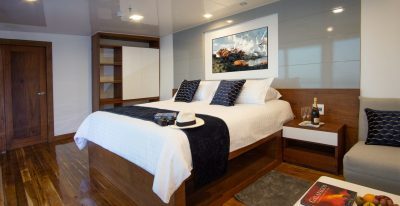 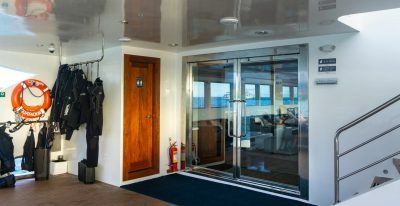 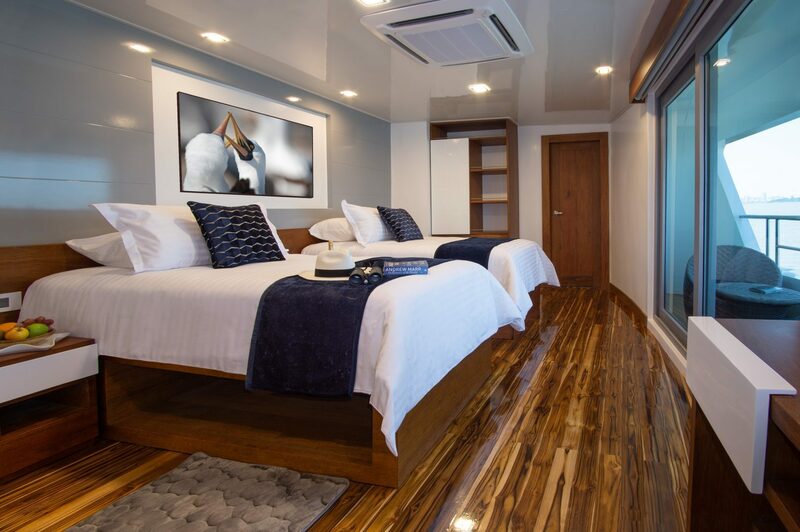 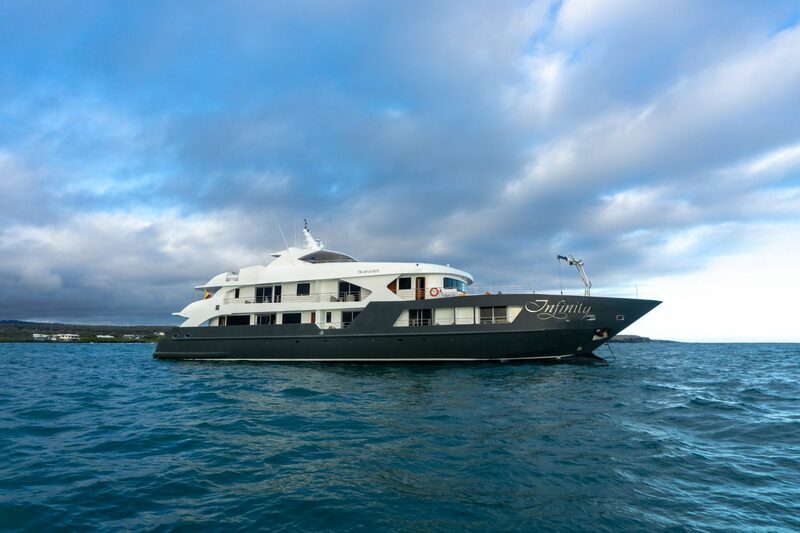 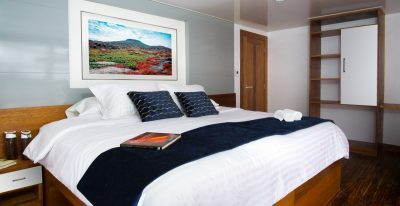 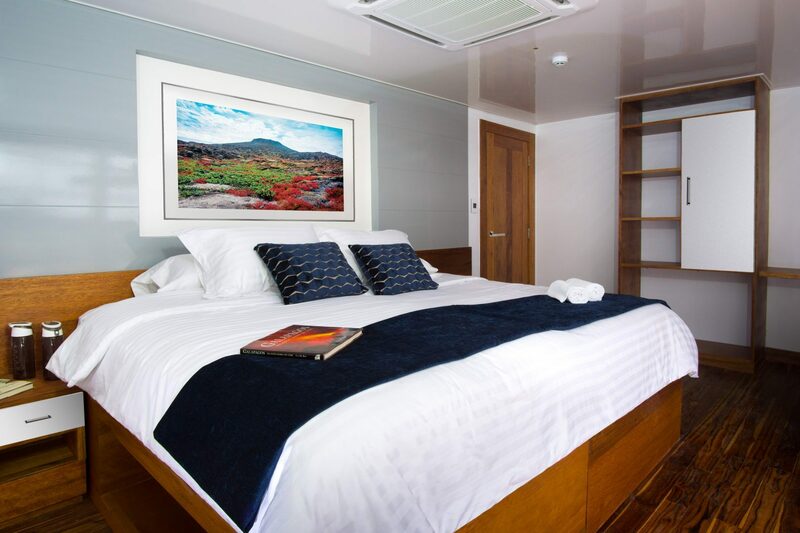 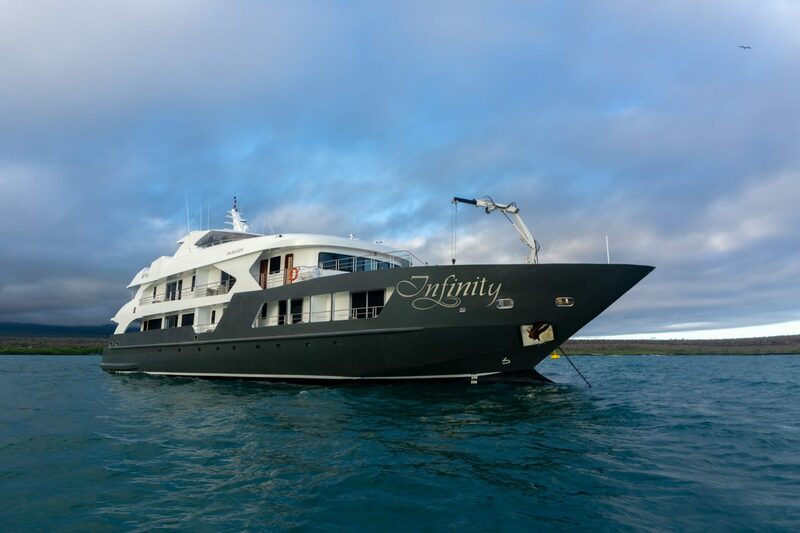 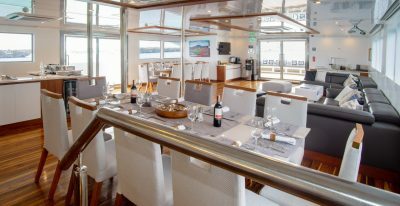 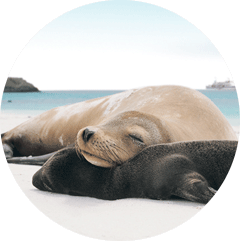 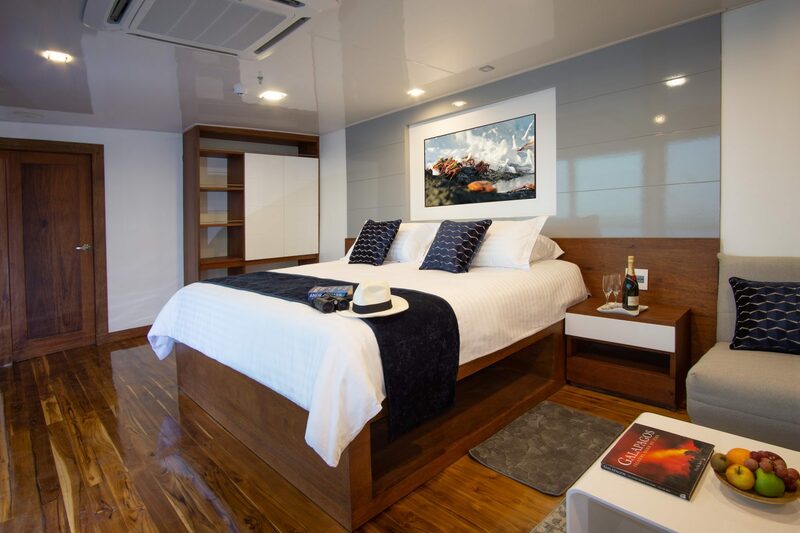 The infinity yacht is one of the newer offerings in the Galapagos and has spacious cabins and an excellent guide to passenger ratio. 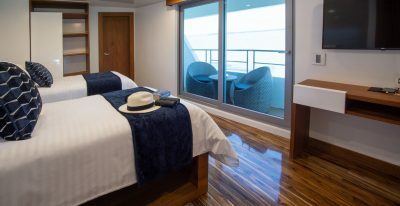 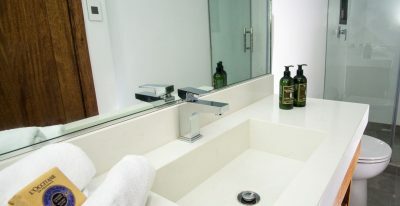 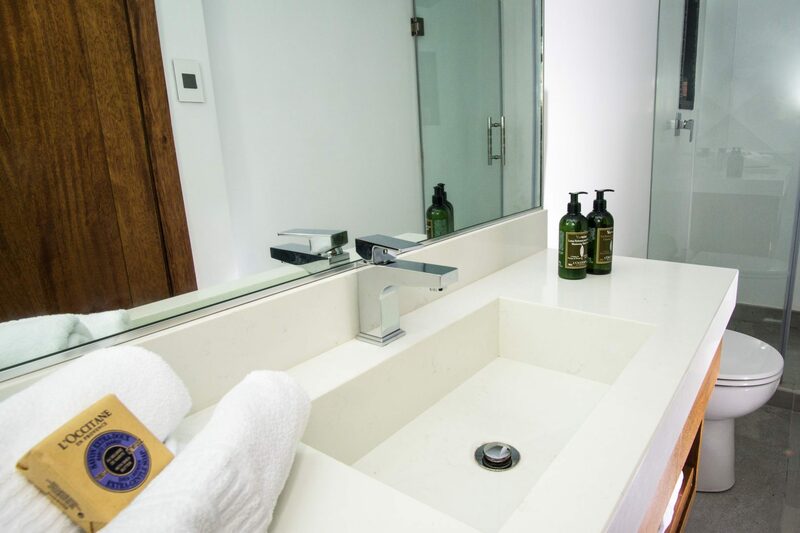 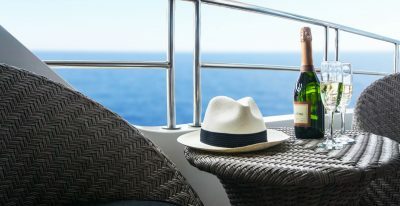 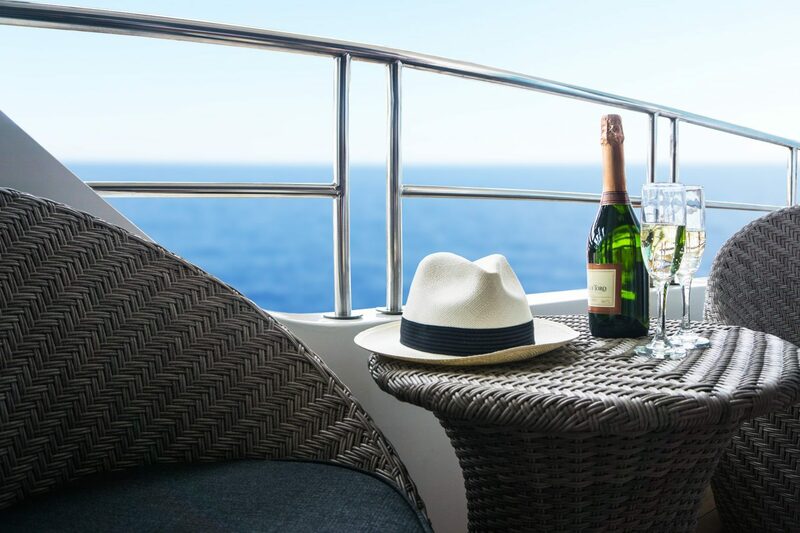 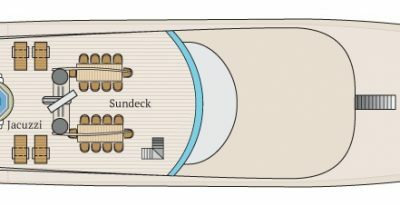 Onboard amenities include a sundeck, lounge, bar, and Jacuzzi. 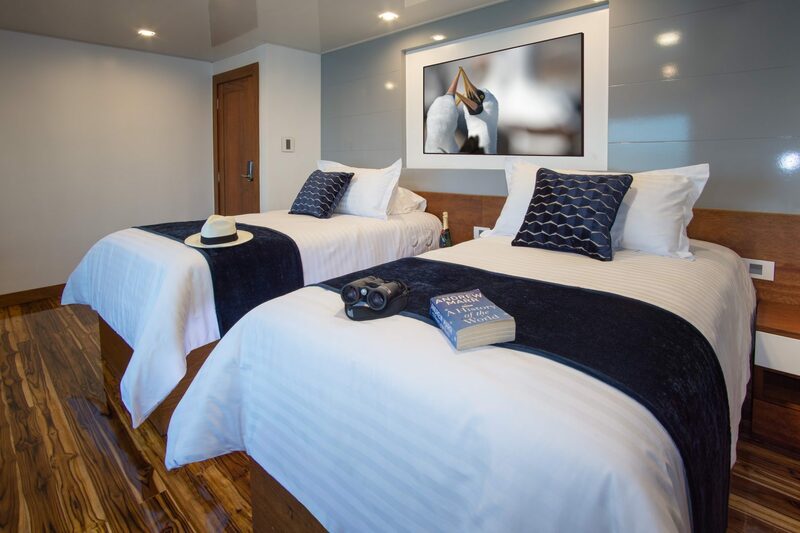 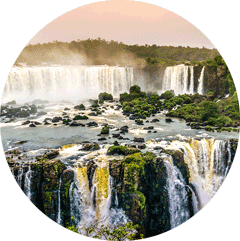 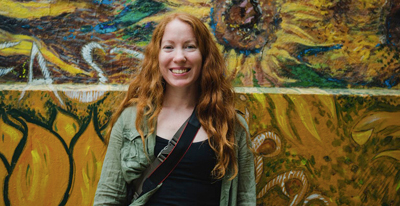 Excursion options include hiking, snorkeling, and kayaking, and all excursions are led by a top-quality bilingual naturalist guide. 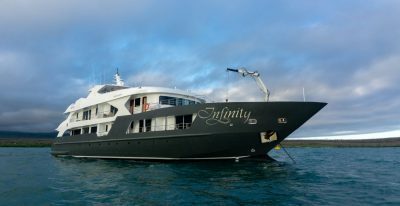 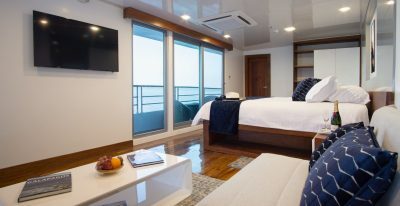 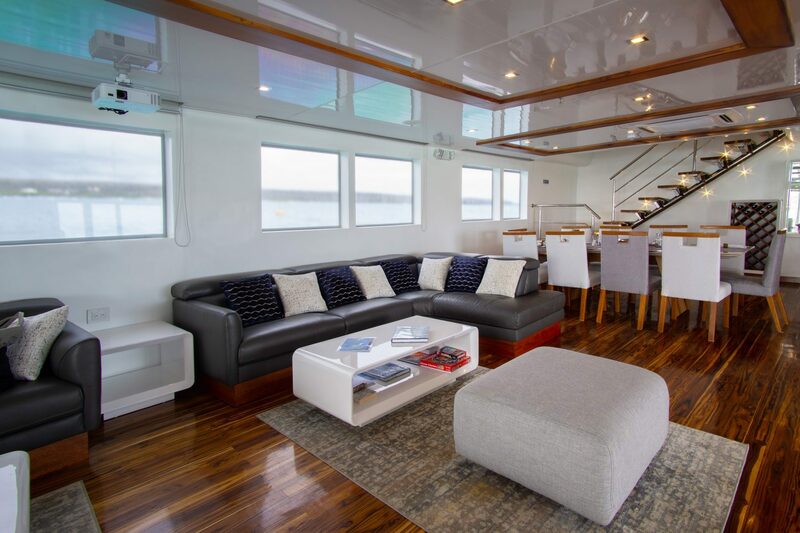 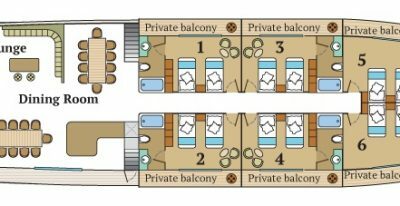 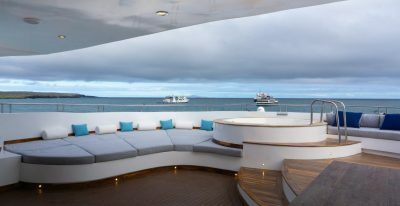 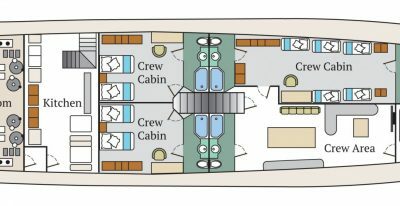 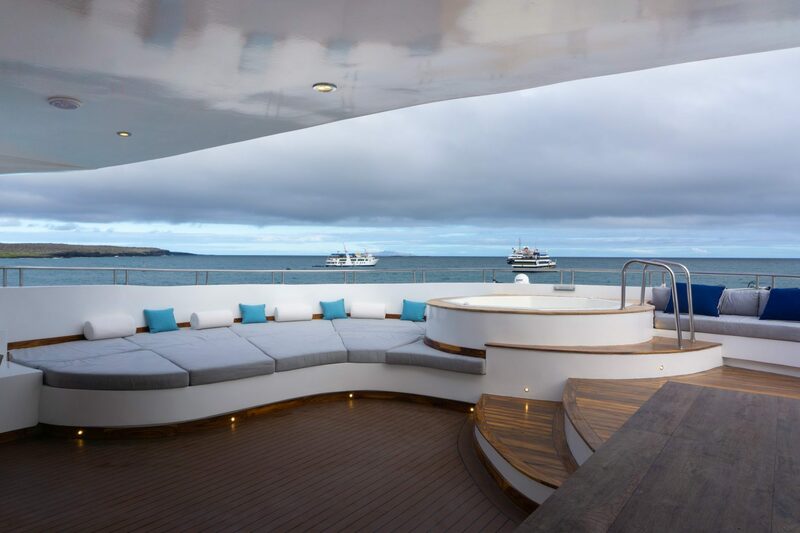 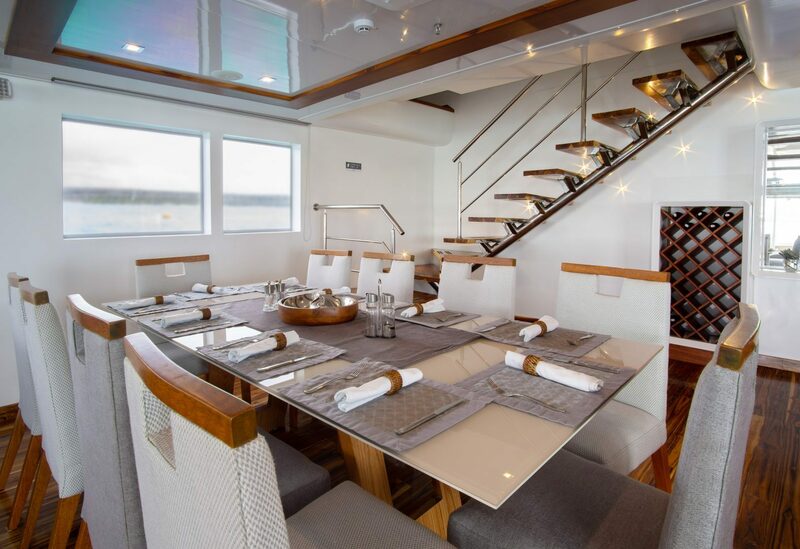 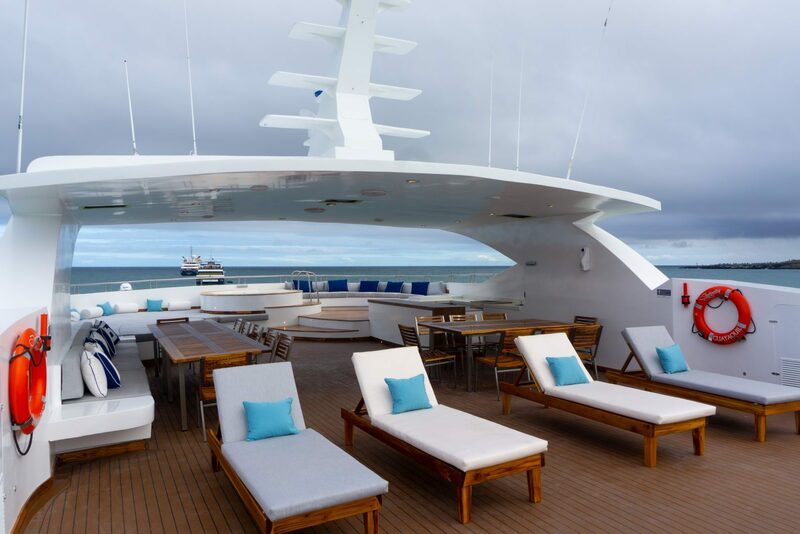 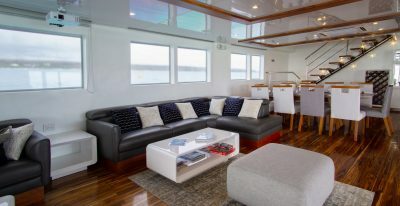 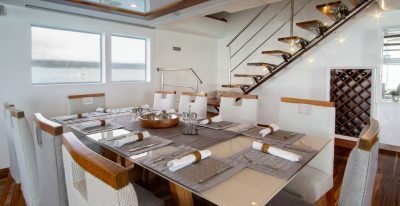 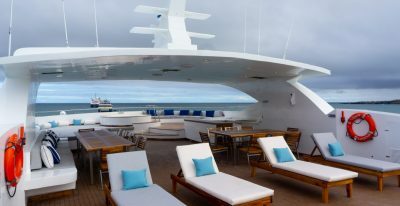 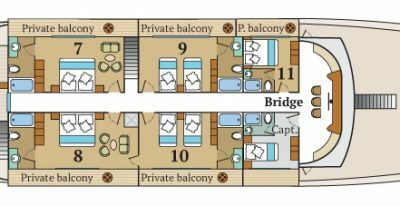 The Infinity has 6 Main Deck double cabins (237ft² / 22m², 226ft² / 21m² and 270ft² / 25m²), 2 Upper Deck double cabins (247.5ft² / 23m²), and 2 Upper Deck double suites (360.6ft² / 33.5m² and 376.7ft² / 35m²).